Growing up on different sports teams, Morgan was initially unfamiliar with working out in a gym setting once she got to college. Now, she's gained the confidence to step into the weight room and hold her own in order to stay on top of her goals. 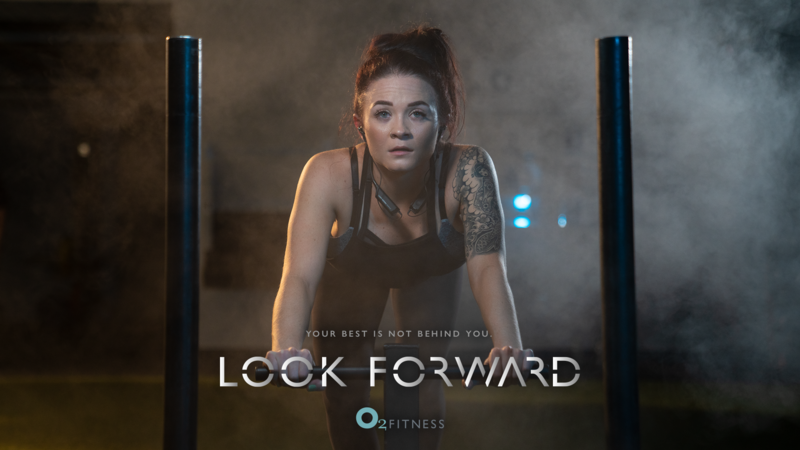 You can find her at O2 Fitness Brennan Station enjoying leg day on the Smith Machine or working through a cardio session on the Stairmaster. Growing up I did gymnastics for six years and I played volleyball, basketball, and soccer. I’ve always been active. In college I went to the gym but I was always just on a treadmill in the corner. When it comes to working out I didn’t get too serious about it until about five years ago. What sparked 5 years ago that made you want to get more serious about fitness? I’ve always been small and petite and never really hit rock bottom or gained a bunch of weight. I just wanted to take better care of myself and see what I could physically do to change the way Iook and get rid of some of the insecurities that I had. When I first started I didn’t really know what I was doing. I would just start watching YouTube videos or follow people on Instagram and create my own workouts. Going to the gym is a huge stress reliever. It’s fun to me. I work a 9 to 5 job and bartend on the weekends so I work all the time. It's my break from everything and my chance to zone out. I’ve just always loved it. I could stay forever. I have to force myself to leave. What's your favorite thing to do at O2? Legs all day. My favorite things to do are deadlifts and squats. I love doing circuits. I’ll get on the Smith Machine and I’ll do three different exercises and then rotate until I can’t breathe. I'm a big fan of hip thrusts and I use bands for extra resistance. Generally I like weights more than cardio. I have to force myself to do cardio. I don’t love it but I can do it for twenty minutes. What motivates you to keep coming back to your workouts? One of the main things that motivates me is just feeling better. You never regret a workout. Even if I don’t want to go, I’ll tell myself to go and afterwards I never regret it and I’m glad I came. Seeing growth and changes in your body after spending hours in the gym is also motivating. Are there days when you just don’t want to get out of bed to workout? What motivates you then? Of course. There are definitely times I don’t want to go to the gym, especially when it’s cold or I’ve been working a lot and I haven’t had a lot of sleep. Sometimes I’ll be exhausted and tell myself just go, but other times I’ll take a break and listen to my body. Don’t care what everyone thinks of you or what you look like. I guarantee you nobody cares. Everyone is busy doing their own thing and nobody is watching you. That’s one of the things that discouraged me from going to the weight room in college. I thought, "Oh my God all these guys are going to be judging me." You are there for you, not to impress anyone. My boyfriend inspires me. He does bodybuilding. He’s constantly working towards his goals and here and there I feel like I have to keep up. His drive to be great and be the best he can is really inspiring. My dad inspires me as well. He was in the military. His drive is always pushing me to do better and be better. You’ve only got one life. What advice would you give to someone who’s been working out for a while and hits a plateau? I feel like right now I’ve hit a bit of a plateau. I just keep on pushing myself because me sitting here moping about it isn’t going to change anything. Just look at how far you’ve come. That could be a push for yourself to just realize you’re now where you used to want to be. When you are doing something really tough what do you tell yourself to get through it and how do you finish? Think of the booty. Or whatever you're working towards. Wish for it. Sometimes I just want to get up and go get chocolate in the middle of a set. Or I think 'I don't want to be here.' Just think of your goals. Keep reminding yourself of why you're there. I remind myself that I enjoy it. When I do get like that sometimes I need to keep igniting the fire to remind myself why I’m there in the first place. What’s the hardest exercise you do or the thing you dread the most in the gym? Dedicating time to cardio is the hardest thing for me. I have to force myself. I want to grow more and push myself more. A lot of times I catch myself getting into the routine of things and not focusing on what I’m doing. I want to focus on more of the mind-body connection and work towards more goals. I want to start writing down my goals. I want to get stronger especially in the lower half of my body. To me look forward means you can still look back and see how far you’ve come but ultimately, strive to progress in every aspect of your life. Not just in fitness. At the end of the day if you're struggling, it’s temporary. Keep looking forward and you’ll move past it.